VODAFONE Fiji will not manage bemobile as proposed in the US$88 million (K205 million) agreement that was signed in April. Under the agreement, the Independent Public Business Corporation (IPBC) would share equity of 51% while FNPF would own 40%. The other 9% would have been shared among PNG Sustainable Development Program (PNGSDP), Steamships and Nasfund. According to a paid advertisement, bemobile chairman Syd Yates said the Fiji National Provident Fund (FNPF) had withdrawn from its proposed investment in bemobile. 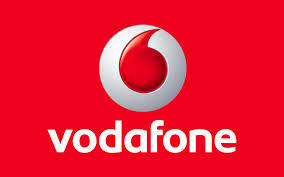 As a result, Vodafone Fiji would not be contracted to provide management services, he said. Yates said bemobile was negotiating with the IPBC to increase its shareholding and thereby increase PNG’s investment in and control of the company. He said bemobile’s shareholders remained committed to growing its business and providing customers with an efficient mobile network. Yates said with IPBC’s assistance, bemobile had entered into interim arrangements with its current network equipment supplier to stabilise its network. He added that additional investment decisions designed to further improve bemobile network would be made within the next few weeks. Telecommunications expert Raj Deo has been appointed bemobile’s acting chief executive officer. FNPF chairman Ajith Kodagoda said in a statement last Wednesday that certain conditions critical to the achievement of the business plan projections were not met, resulting in its decision to pull out of the agreement to buy off 40% of bemobile.